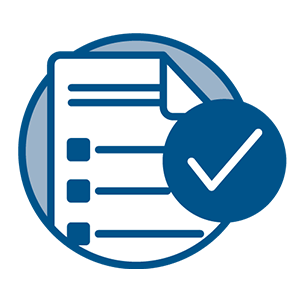 Vanguard Compliance Manager for any external and internal regulations performs critical compliance checks that exposes adherence to industry specific and clients’ custom checks without increasing processing overhead. Security and audit teams can efficiently identify potential company-wide compliance violations immediately, perform custom baseline checks and take corrective actions by enforcing company specific security and compliance in harmony with today’s industry standard requirements. In addition, Compliance Manager supports RACF, ACF2, z/Linux, and TSS. Many of the offerings today require the user/company to accept “out of the box” offerings that may or may not fit exact personality of the organization. Trying to make a square peg fit into a round hole leaves many gaps that could create audit and compliance issues for the organization. The Vanguard solution requires organizations to leverage “subject matter experts” that identify specific and unique checks deemed important for meeting and exceeding both internal and external regulatory / audit requirements. How it works: Upon the completion of the check definition by the SME, the definitions are delivered to the Vanguard Compliance Manager team for refining, which produces unique client specific baseline checks. The process of creating unique specific baselines for the industry segment and personalizing by organization is the best method for receiving anticipated ROI for security and compliance investments. Vanguard Compliance Manager provides an easy-to-use communication layer that delivers immediate results for “C” level intelligence, validating data protection results and guidance for corporate protection and compliance. Check results and close gaps on all of your organizations workstations, mobile devices and tablets with Vanguard Compliance Manager. Today’s executive CISO and CIO demand easy to understand information delivered in handheld device, tablet or business workstation. The Vanguard Compliance Manager delivers timely, important information for intelligent decision making to check results and close gaps before they become expensive issues.